Picturesque, ski friendly, and home to the highest altitude in all of Europe, Davos is much more than a vacation destination in Switzerland. 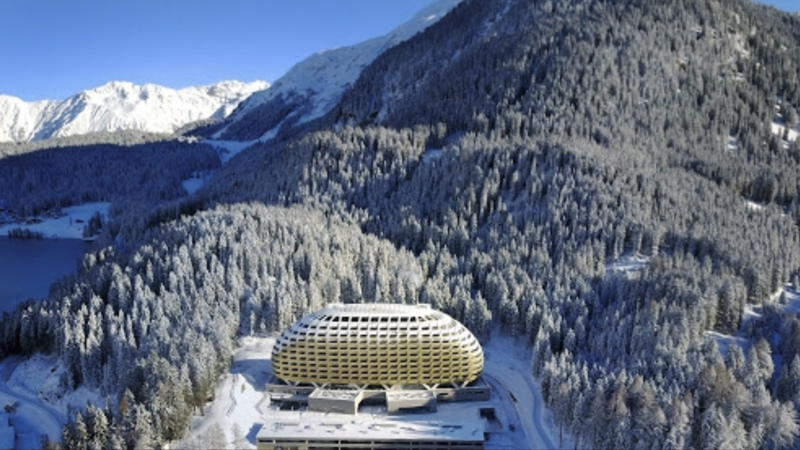 It also plays host to the World Economic Forum (less formally known as “Davos”) every year — an event that brings together a few thousand of the leading executives, economists, journalists, political leaders, and others to discuss the most important issues facing the world today. This year, the main theme at Davos was “Globalization 4.0: Shaping a New Architecture in the Age of the Fourth Industrial Revolution.” The Global Risks Report, which surveyed nearly 1,000 leaders from various sectors, noted: “Global risks are intensifying but the collective will to tackle them appears to be lacking.” From January 22-25, #wef19 attendees grappled and weighed in on topics such as the future of finance, Brexit, climate change, emerging technologies, and other themes essential to our present and future world. 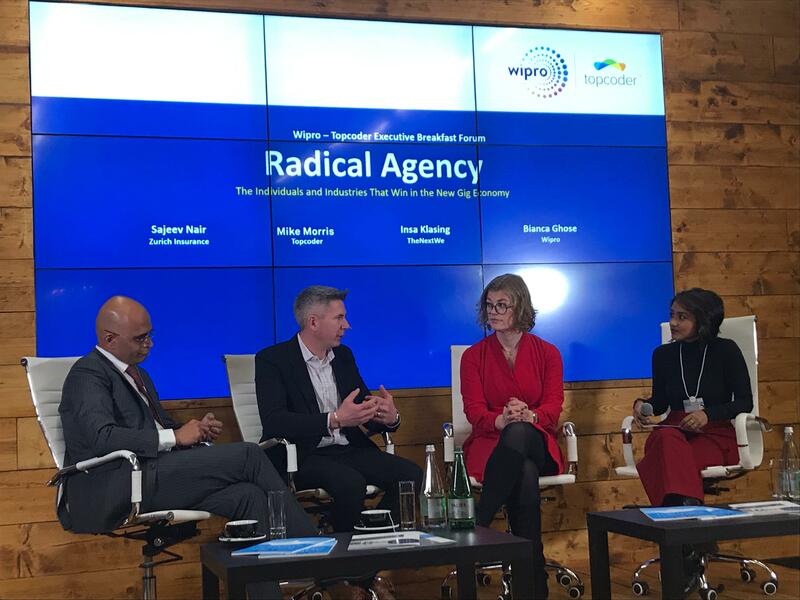 This year marked Topcoder’s first outing at Davos, and we hosted an all-star panel on the topic of radical agency in the age of the gig economy. Moderated by Bianca Ghose (Chief Storyteller at Wipro), the panel consisted of Insa Klasing (Co-Founder and CEO of TheNextWe), Sajeev Nair (Head of Global ADM at Zurich Insurance Group Ltd.), and our own Mike Morris (CEO of Topcoder). The group discussed the challenges and unique opportunities for growth and innovation provided by the shift toward on-demand talent models such as crowdsourcing. 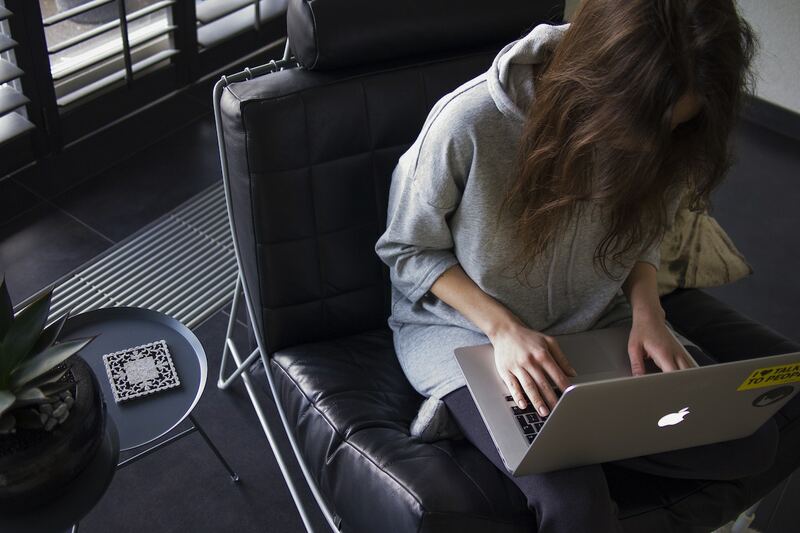 In a time where workers around the world are increasingly opting into more flexible work styles, there’s more talent available to the market on an ad hoc, competition, and contract basis than ever before. But how can the enterprise access, harness, and leverage all the talent they need as they need it? The challenge that companies like Topcoder set out to solve is, primarily, accessibility to said talent — whether it’s custom code or app design, or something far more involved and scalable. That, and providing freelancers more opportunities for merit-based success through competition. “Being my first trip to Davos, I didn’t know what to expect going in — other than the allure of the attendees, topics, and knowing that it’s one of the most beautiful landscapes on the planet. Having spent a week at Davos, I can tell you it’s like no other conference I’ve been to. Davos does an amazing job of leveling the field between social, economic, and commercial issues. Across all topics there was a conscious effort to pull in important themes like diversity and inclusion, the impacts and opportunities around the gig economy, the future of work, and the effects of artificial intelligence. As with any discussion, healthy debate makes things more exciting and interesting. I think Davos as an international forum does a great job of bringing out opposing viewpoints. For example, on the subject of the gig economy, there was a great debate around both the positives and the concerns that come from new models of work. For AI, there were people who took a positive view on the effects of AI on the workforce (by focusing on the increase in innovation speed), but then there was the opposing side — people who often refer to themselves as realists, who bring up potential downfalls (like the loss of jobs or even the advent of Skynet (re: The Terminator). 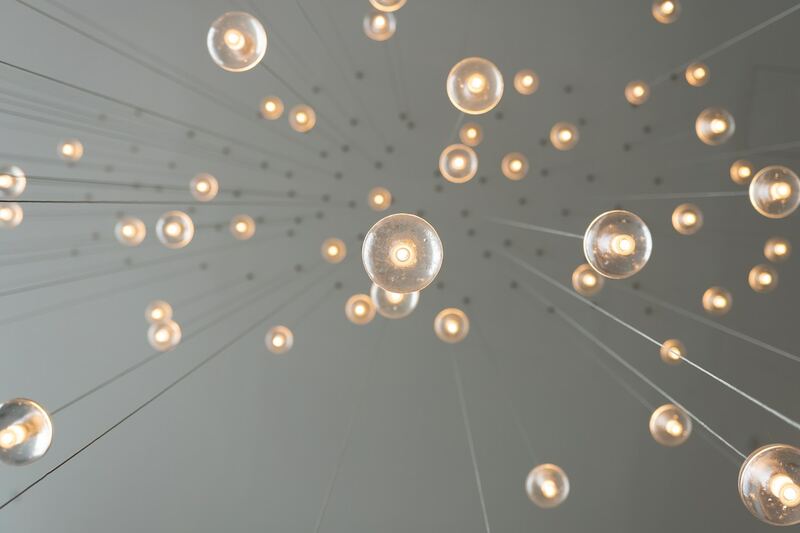 You can also read Mike’s recent post on acting like an exponential organization in 2019 and the three gig economy models you need to know now. Then be sure to read our free report — created in partnership with Open Assembly — on the state of crowdsourcing.